Imagine how things would have been oh-so-simple if there prevailed a magic spell like Abra-Ca-Dabra that would automatically compel the subscribers to open the emails once it had landed in the inbox. Email open rate would have increased in the wink of an eye and the dream of every email marketer would come true, phew! However, let us stop dreaming and get back to the real world of email marketing where achieving a healthy email open rate is a pain. So much so that some email marketers practically give up on this quest. I would say giving up is not an option as it would make you land nowhere in the world of email marketing and your brand name will vanish as there are other competitors in this quest. Therefore, let us proceed the blog and see what are the secrets of email open rate and how can we make use of these secrets to improve our email open rate. #1. Seeing should not be the believing…always! Well, many times you must have seen your email marketing campaign suffering a very low or poor email open rate. However, email marketing experts have said that what we see always might not be true to the reality. Many times due to poor network or network blocking on the part of some email client, email open does not get tracked. This gives the email marketers the picture of a low email open rate, whereas, in reality, you email open rate can be as high as 8% to 25% (if you are following the right steps). Well, this might be new to you. However, you email open rate also depends on the type of mailbox your subscriber is using. Still confused? Then allow me to explain you this point by providing you a teeny-weeny story about each mailbox. • Super Users: These are the subscribers who enjoy reading the emails that are sent to them and make it a point to know each of them. Well, there is nothing called promotional emails in their inbox as they are quite choosy about subscribing for a brand. • Engaged Personal: These subscribers engage themselves with those emails that are of their interest. They comprise of 10% of your subscriber and 23% of your emails. • Super Subscribers: Now these subscriber’s inbox is always heavy with a large number of emails. They receive promotional emails now and then, however, indulges themselves with very few. Consists of 9% of your audience and almost 25% of your emails. • Engaged Secondary: They are considered to be somewhat active. However, they read very few emails. They are the 9% of your total subscribers and 13% of your emails. • Unengaged Secondary: Well, these are unique. These subscribers only engage with their account very few times on monthly or weekly basis. They engage in reading very few emails and most probably, it is their secondary account. They are the 9% of your subscribers and read 12% of your emails. • Inactive Personal: Such mailboxes remain inactive for over a month but surprisingly, they receive a high amount of personal email. They consist of 0.5% of your subscribers and ready only 1% of the emails you sent. • Inactive Secondary: These are very rarely used accounts as these mailboxes are not used for more than a month. They consist of promotional emails which account for higher than the standard amount of promotional emails, and for such reason, these accounts are created, to separate from personal emails. They are the 25% of your subscribers but sadly reads less than 1% of your emails. • Idle Account: As the name suggests, these are enough dormant accounts which have not interacted with you for an extended period. Also, they hardly receive any emails. They are the 35% of your subscribers and reads 0.25% of your emails. #3. Infrastructure Setup matter a lot! Oh yes! Your email open rate is holy well dependent upon the infrastructural setup that you incorporate in your email marketing campaign. It is in fact, an imperative point that one should consider, as they are responsible for sending your email right into subscribers inbox without spamming them. Implementing protocols like SPF, DKIM and DMARC records to your email marketing campaign will boost your email open rate as your emails will end up in the inbox and not the spam filter. Also, implement Google Postmaster who is one of the recent development in the world of email marketing. All these protocols are more than essential; they are the necessity for your email marketing campaign. #4. Are your Subscribers ‘Engaged’ enough to open your Emails? You better have an answer to this question, as your subscriber engagement with your emails can decide to a large extent whether your emails will be opened or not. You must send emails to your subscriber that will grab their attention instantly. For example, if chunk subscribers are fond of shoes and bags, go ahead and send an email campaign that has special offers for shoes and bags. This turn there interest on and compel them to open the email. The trick will prove to be more successful if you can implement a hint of personalization to your emails. Well, maintain this ratio is quite important, and this depends on the type of email you are sending. If you are sending an email which speaks about the new launch of a clothing line by your brand, then make sure to implement images to the email body. The glimpse of the new clothing line through the pictures will allow your subscriber to decide whether to click through the email or not. On the other hand, if you are sending a transactional email, implementing more of text will be enough. However, for both the cases make sure that your emails have been designed to open in mobile devices as your subscribers are more in love with their mobile devices rather than their desktops/laptops. #6. Make sure you are having a Hygienic Email List of Subscriber. Now, this does not mean cleaning your email list with an antiseptic lotion. Jokes apart, having a clean or hygienic email list is important. It means you must remove all those subscribers who have not engaged with your emails for a long time, really long time. Sending emails to these subscribers can cost your brand name as they might mark your emails spam or send them to the trash box. 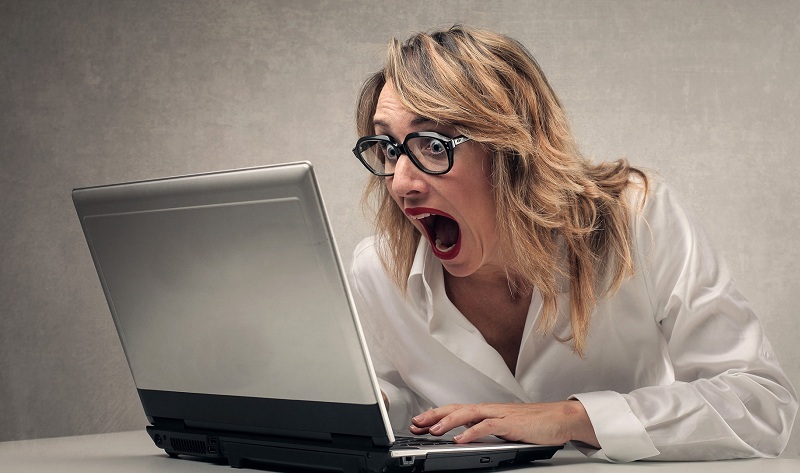 Your emails might become a subject of irritation rather than excitement for them. Therefore, always put the unsubscribe option at the end of your email so that the ones who are not interested can unsubscribe. Unsubscribe is much than getting marked as spam. #7. Your Subscribers are Judges. After all, your hard work is to impress your subscribers. If you can impress them, then VOILA! You are successful, in the quest of attaining your email marketing campaign. Therefore, make it a point to send emails to your subscribers as per their choice and preferences or by providing some incentives to them. You can also carry out A/B testing in this case and see which email marketing tactic works better for your subscribers. Whatever be the case, you must hit the nail. This is not new. The internet is full of tip and tricks related to a crisp email subject line. However, if you have been ignoring them all, then let me tell you a bad email subject line can mark you email as spam. Do you want your emails to be marked as spam just because of a subject line after the hell lot of hard work that you have implemented in your emails? Do you want that? No, I guess, and it should not be as well. Thus, make sure that you are writing a super duper email subject line that should hook the attention of your subscribers. Also, personalization is quite important as well. As I have said earlier, personalization allows your subscriber to connect to your emails even better as they feel little pampered on reading such emails. #9. ‘Tick-Tock’…keep an eye on the Clock! Ah! Finally, I have reached the last point but dead sure, not the least point. Your email open rate depends upon the schedule that you are following to send the emails. Sending emails in the middle of the night will not see a huge email open rate as sending emails in the morning, as a subscriber have the habit of checking their phones first in the morning. Again, sending emails on the weekends will see a much higher email open rate as compared to sending email emails on the weekdays, when they are mostly busy with their job. Therefore, make sure you know when to send an email to your subscribers to see a high email open rate. You can also carry out a split testing for the same. By now you know what the secrets behind an open email rate are. Some might surprise you while some might not. However, every point that has been mentioned above speaks about the reality that is concerned with open email rate. At best, they will whopping increase your email open rate and the worst can be; they might not increase your email open rate to a large extent, but surely to some degree, they will. Whatever be it, I have spoken a lot on this blog. Now it is your turn to speak up and say which trick or secret has worked best for you. Also, if you have anything better than what I have written, you are most welcome to mention it as well, as I feel there is no time boundary for learning new things.